On Saturday, January 6 at 12pm from their South Slope Sour & Wild Ale facility, Hi-Wire Brewing will be releasing a Cherry Flanders Red (6.2% ABV) ale for $18 per bottle. With a total fermentation time just under 22 months, Cherry Flanders Red is packed with cherries at eighteen pounds per barrel, giving it huge notes of dark fruit, red berries, and balanced acidity. Typically for consumers with an acquired taste, this American version of a Belgian classic on cherries is perfect for anyone looking to expand and explore their “wild side.” This beer will see limited distribution beginning in February. Kicking off the Seasonal Program in 2018 for Hi-Wire Brewing is the easy drinking and hoppy Death Defying India Pale Ale (6% ABV). Malted oats soften the satisfying bite of dank, piney, and tropical Eureka and El Dorado hops, creating the perfect beer to assist with your quest from winter to spring. Death Defying India Pale Ale will be available on draught and in six-packs throughout Hi-Wire Brewing’s entire distribution footprint, as well as both of Hi-Wire’s taproom the first week of January. 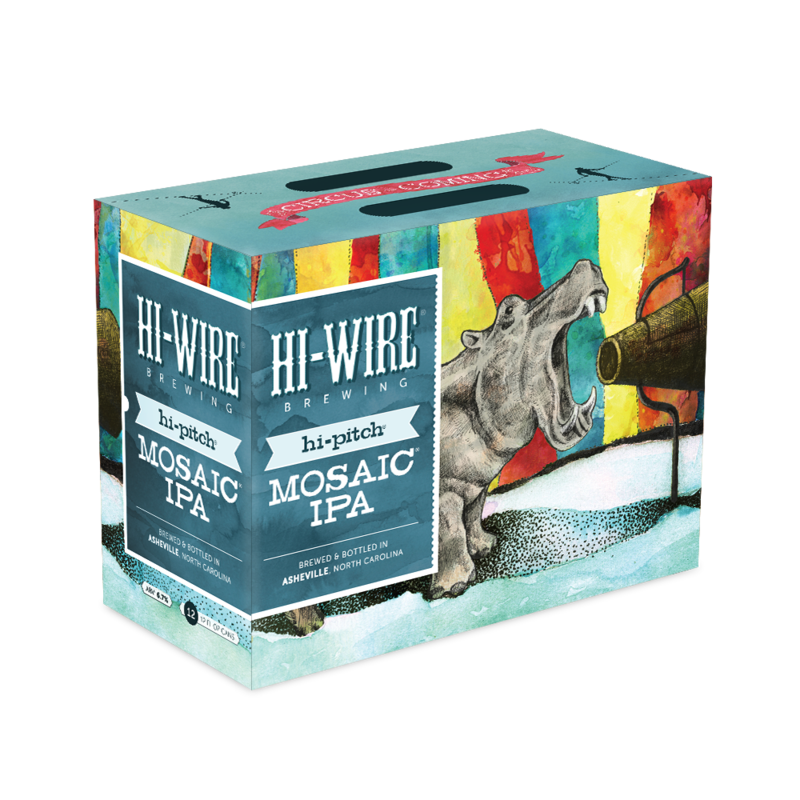 Lastly, Hi-Wire Brewing will be adding 12-pack cans to their year round line-up including Lo-Pitch Juicy IPA (4.9% ABV) and Hi-Pitch Mosaic IPA (6.7% ABV). Adding volume and diversity to their packaging line-up will allow Hi-Wire Brewing to reach a broader customer base with two of their top selling beers. Both sets of 12-packs will be available the second week of January and will see distribution in Hi-Wire Brewing’s entire footprint. Big Plans for 2018 Hello, Kentucky!